Schuh’s Services® We Clean It Up®has been cleaning for the health and environment of its customers since 1985. The requirement is to provide a healthy, safe work environment and has become a serious issue for a lot of people, especially the people that suffer from allergies. The order requires all facilities to reduce pollution whenever possible. This order also asks them to consider environmental impact when purchasing supply and achieve a 50% reduction in harmful products. If you are in the cleaning business, you already know, change is coming. We at Schuh’s Services® We Clean It Up® have been ready for this change and have implemented Green Clean Compliant methods in our company for over 20 years, from the use of recycling paper goods to the use of the best and safest chemicals, to use of high filtration vacuums. Green Cleaning is affordable to implement, it is valuable to your business and our environment. 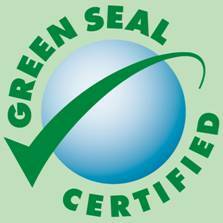 Green Clean is more than just the use of environmental safe cleansers, waxes, and sanitizers. It also includes a new type of equipment, ones that use less water and chemicals, to vacuums that filter the air of harmful germs. Converting your building to a Greener environment is relativity easy. Green Clean Compliance should be a method of migration to new safer chemical, better equipment, and chlorine-free products. The impact is a healthier working, living environment, with less toxic west. The reduction of fatigue, headaches, and allergic reactions. The cost of migration to a healthier business can easily recovered in many ways. Reduced sick time of employees.